Racist Camera! 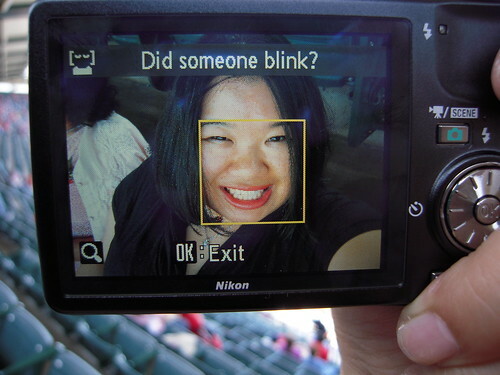 No, I did not blink… I’m just Asian!, originally uploaded by !!! :: jozjozjoz :: !!!. Yes, I am the gal in the infamous Racist Camera photo which was seen in Time Magazine and other places. See the original photo on Flickr for a partial list of places this image has appeared. Due to popular request, this is my signature: (-_-) Did someone blink?